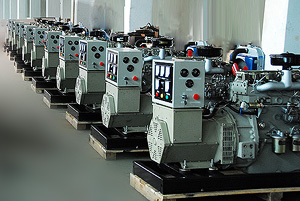 Bronco Electrical Machinery Manufacturing Co., Ltd was the first independently-owned enterprise that BRONCO set up in China. It located in Shanghai Songjiang High-Tech Industrial Area, which puts it only 2km away from the Shanghai-Hangzhou high-speed railway. To the North is the Sheshan National Tourism Resort, and is also nearby the Songjiang Xincheng (University Town). The plant is just 25km away from Hongqiao International Airport, and 48km away from Pudong International airport, very easily reached by air. Bronco (Zhejiang) Electric Machinery Manufacturing Co., Ltd is the second independently-owned enterprise that BRONCO has invested within China, and follows the successful establishment of the company’s first enterprise in Shanghai. Bronco (Zhejiang) Electric Machinery Manufacturing Co., Ltd is located in the beautiful Taizhou Economic Development Zone, where occupies an area of 40,000 square meters. BRONCO is a company that combines the development, manufacturing, and marketing of gasoline generators, diesel generators, water pumps, air compressors. We possess advanced production testing equipment and a modern quality management system, and have always implemented comprehensive quality control through strict adherence to ISO9001 standards. Furthermore, our products have also passed GE, CE, EMC certification. The company has adopted horizontal integration, and product development is both supported by scientific research institutions and led by the demands of the market. We actively incorporate advanced technology, materials and production processes so as to constantly develop new products - some of which already meet the highest standards within China. Our products are sold throughout the world in regions such as Europe, America, the Middle East, Southeast Asia, and Africa, where we have built up a complete sales network. In Dubai, the economic heart of the Middle East, we have created a sales branch, and have won the trust and support of customers through our outstanding products and consummate service.